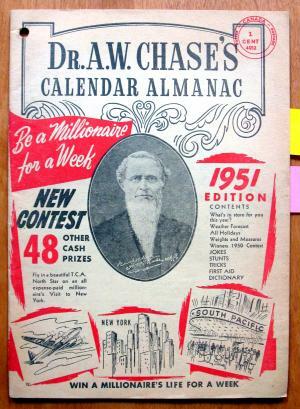 Nowadays we seem to have the Farmer’s Almanac, and maybe we did when I was a boy too, but what I remember most is the Chase’s Almanac. Like all of the, full of anecdotes, and bathroom reading material, and planting times etc. But I think what stood out most were the ads. I’m not sure where the almanac came from, whether we bought it, or if it were delivered door to door, but the ads were for things that no store carried, or at least none that I remember. 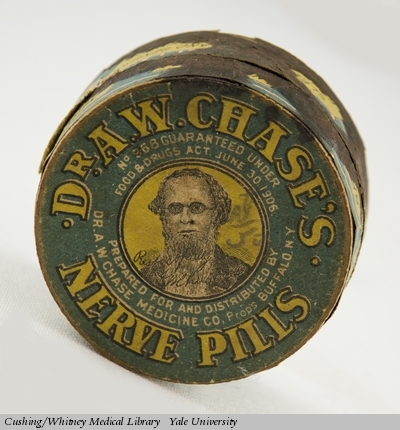 The biggest being Dr. Chase’s Nerve Pills. 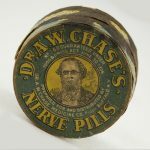 As my buddy Eric would say, Oh me nerves! Another thing I remember was that it had a puzzle in the middle. I guess one crossword a year was enough for most people! Actually if memory serves the crossword was part of some contest. Anyone have any pictures or memories of it? The Wish Book Cans and Tins, Oh My!